WELCOME! WE'RE BACK ON THE MARKET! TAKE A LOOK AND BOOK TODAY! This spectacular 1800+ square foot town home is located on the fabulous North Shore of Lake Tahoe at lake elevation. Within minutes of the major ski areas, two of the most beautiful beaches on the Lake, and the newly remodeled Hyatt Lodge. Ski areas, including Northstar, Mt. Rose, Alpine Meadows, Squaw Valley, Sugar Bowl and many others are within a short 20-30 minute drive. Inquire about DISCOUNTED RATES as we are looking for a stable following of recurring renters for years to come. The home is fully furnished and upgraded with granite kitchen and new appliances, a rock fireplace, a patio area for barbeques, upgraded bathrooms, and a garage. Bedding includes 1 large king bed, 1 queen bed in country cabin decor w/ walk-in closet and master bathroom, 2 twins in the 'kids' room and a fold-out double sleeper in the LR. The garage and the patio for BBQ are extras. This is a secure and gated community. The living room entertainment center includes a large flat-screen TV and a DVD/VCR. Wireless internet access is also available. In the desirable Incline Village planned community, your family and friends can enjoy all of the best amenities of the greater Lake Tahoe area, including 15 major ski resorts and 40 golf courses, not to mention the most beautiful lake in the United States. The community includes two private beaches (one with a pool and one with a boat ramp), a 37,000 square foot recreation center open year round, indoor olympic pool and sauna, lighted tennis courts and family picnic areas. Guests are allowed access to IV beaches and the Recreation Center at non-resident rates. The Third Creek Townhomes also include a pool, hot-tub and tennis courts for use in the summer months. The hot-tub is also open during the winter months. Tahoe is a year-round recreation wonderland offering the best on the California/Nevada border, just a 29 mile drive to the Reno-Tahoe International Airport and a leisurely three and a half hour drive to the San Francisco Bay Area. Dining and casino gaming in Incline Village or Reno offers great fun in the evenings. Discounts offered for extended rentals and repeat renters in good standing. Sorry No Pets and No Smoking in home. 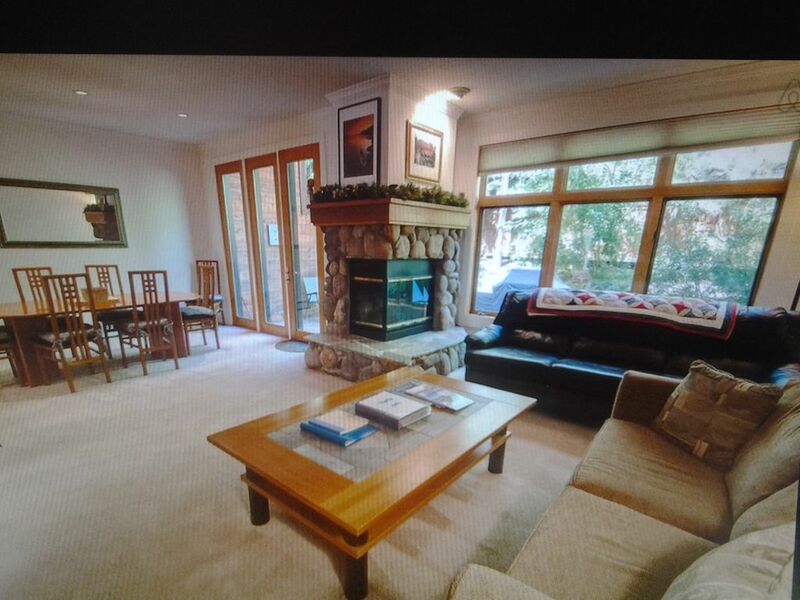 This is perhaps one of the cleanest and best kept accommodations available for rental in all of Tahoe!! Compare at $275-350 per nite for full-service listings of this same floor plan in Third Creek on other websites. Fifty percent of costs are due at the time of reservation. If you cancel your reservation less than 90 days prior to your planned arrival date, we will refund the cleaning fee and security deposit, but we reserve the right to retain the rental amount if we cannot re-rent the home for the period reserved. Hi - We are in fabulous Lake Tahoe year round as a retired couple from the SF Bay Area. Love to meet and advise Guests about great spots not to miss in Lake Tahoe. Just inquire! We've placed our Incline Village Town home back on the market recently and are now accepting reservations for all 4 Seasons. Take a look! All 4 seasons are great but ski season and summer are fantastic! Year round vacation resort, excellent gated town home complex. One of the nicest neighborhoods on the Lake! Modern bathrooms. Master bath is private walk-in w/ modern shower. 2nd bathroom is walk-in shared by 2 upstairs bedrooms with shower/bathtub combination. Half-bath on 1st floor includes laundry area. We are located near the center of town, next to the Raley's shopping center. A number of fine restaurants are within walking distance as well as shops, banks and various attractions. The Hyatt Resort nearby includes a beautiful beach, beachfront dining, a casino, and a beautiful lodge w/ a number of good restaurants to choose from. It is within walking distance. Incline Village is an exclusive town at Lake Tahoe with a great deal of amenities. A ski resort, two golf courses, 2 beaches, a boat ramp, numerous parks and a rec. center w/ a tennis facility. Two blocks to Championship Golf Course, within walking distance. Radiant electric wall heaters throughout on individually controlled upstairs and downstairs separate thermostats. Gas burning, small but modern and safe. 1 Car garage for a small vehicle. Yes, sufficient for 8 Guests. Please hang and reuse to conserve during the drought. Cable tv w/ 2 couches for up to 6 people, w/ additional chairs as needed. A modern stove in great condition. A modern oven in great condition. A modern and convenient microwave. Yes a modern drip type coffee maker with a reusable filter. Kitchen is modern with large refrigerator and beautiful appliances. It is well stocked including all dishes, pots and pans and amenities needed for meal preparations. A mahogany dining table w/ seating for 8 people. Cable TV in living room. Smart TV in Master bedroom. Small stereo for IPod and CD's in Living room and a small cd player in Master bedroom. We include 2 beach chairs and a small cooler. Beach towels may be provided but best to bring all of your beach gear and sports gear. Ski resorts are numerous in the area, nearest is Diamond Peak for families to intermediate skiers. Bring all of your own equipment, rentals are nearby and at resorts. Yes next to the Rec. Center and also within the community amenities. 2 Golf courses in Incline Village available to the public. Numerous golf courses throughout Lake Tahoe and Reno / Carson City. In locker room next to spa/pool. Sauna (at Rec, Center), Hyatt Regency and Gaming nearby. Great beaches throughout North Lake Tahoe, best is Sand Harbor. Great location and clean home! Super location and very clean home!! We rented this property for our visiting family, and it was just perfect! The unit is very well-located, close to everything in Incline and in a great complex with it's own swimming pool. The unit itself is well-appointed, well-equipped, and very clean and well -maintained. We particularly liked the three bedrooms which were very spacious with plenty of closet space and bathroom space. We also loved the back patio - it is quiet and enclosed so the children could play with no worries. The owners were responsive and attentive to our questions and were great to work with. We are planning on renting this unit again and would highly recommend it to others. There were five of us, all adults, and stayed at Third Creek for six nights. The property is in a great location in a very pretty development close to shopping and amenities. We cooked in every night and the kitchen was well equipped with everything we needed. Everything was in working order and clean. We used the beautiful deck every day and grilled. There is so much to do in Lake Tahoe so we only used the pool twice but it is beautiful. The unit is in the gated area of the complex and so to get to the amenities you must walk across the creek either on the path or along the road but a nice walk. The owners were very responsive to questions. The only small negative is that the unit backs up to a busy road so there is some noise from the traffic during the day. At night, after 10:00 p.m. it is fairly quiet. All in all a great vacation. Thanks Herman - Glad you had a great stay! Come back soon. We thoroughly enjoyed our stay in this townhome and the Third Creek Complex! The home was clean, comfortable and had everything we needed. It felt just like our home away from home. Our kids had a blast using the pool, tennis court and ping pong table within the complex. We love Incline Village and this was one of our best trips yet! We will be back soon! Sledding and gaming and other endless adventures for both outdoor and indoor enthusiasts! Recreation Center w/ Ping Pong and Pool Table, pool, hot-tub and tennis court. E-Mail Confirmations will be sent for Confirmed Reservations w/ all terms and conditions along w/ House Rules. Guests will need to agree with terms and conditions at time of payment. Holiday rates may be higher than rates posted herein and may require a minimum 1 week rental.